Welcome to this fully updated one story with new carpet, fresh paint throughout entire home, exterior trim paint and granite countertops in all 3 bathrooms. Gorgeous kitchen features all new GE stainless appliances, new granite countertops, new backsplash and California style breakfast bar open to the family room. Beautiful master suite with new tile shower, glass enclosure, granite counters and painted cabinets. Many extras include crown molding, 5 in. 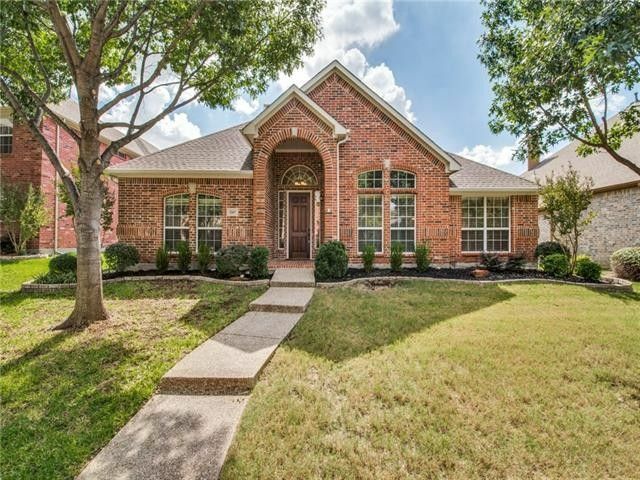 baseboards, new roof 2016, new hot water heaters 2016, walk-in closets in all 4 bedrooms & laminate wood floors in dining, living and family room. Complete with mature landscape, 8 ft. backyard fence & freshly stained wood deck. Home built by Avery Edwards. Directions: From Teel and Main go North on Teel, Right on Birchridge, house on the right.